The Battle of Bannockburn is a famous Scottish victory in the first Scottish War of Independence. 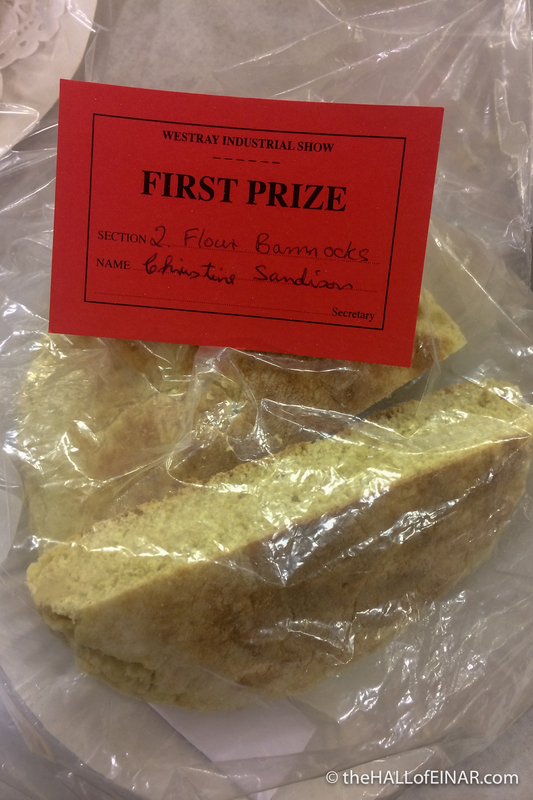 Equally as momentous is the Battle of Bere Bannock at the Westray Industrial Show. 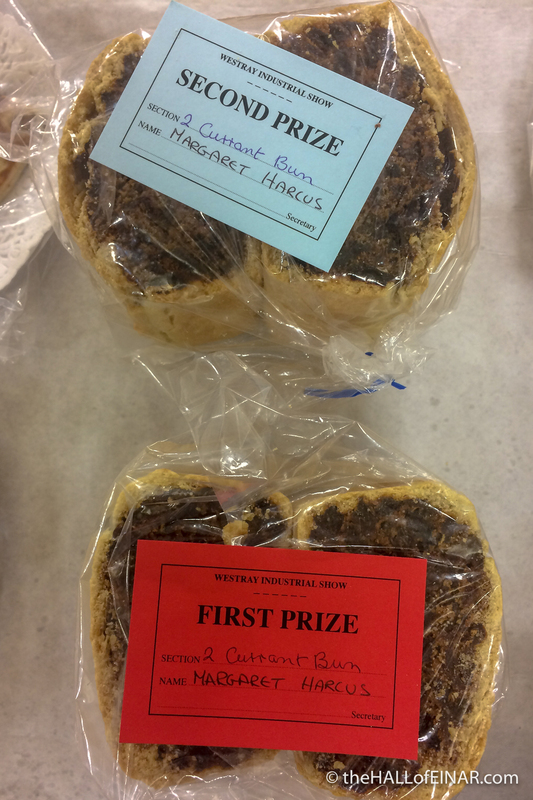 Here, every year, Islanders vie for prizes with their produce, compete with their cakes and tussle over their tatties. 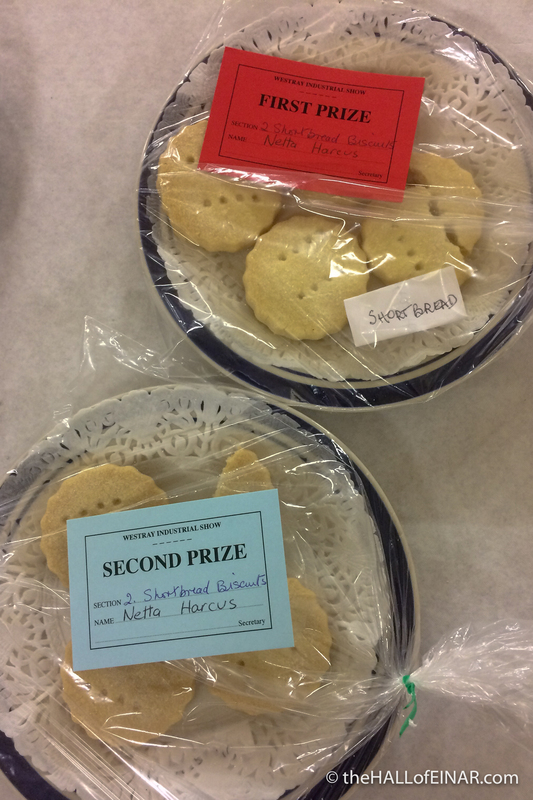 Who will bake the best bere bannock this year? 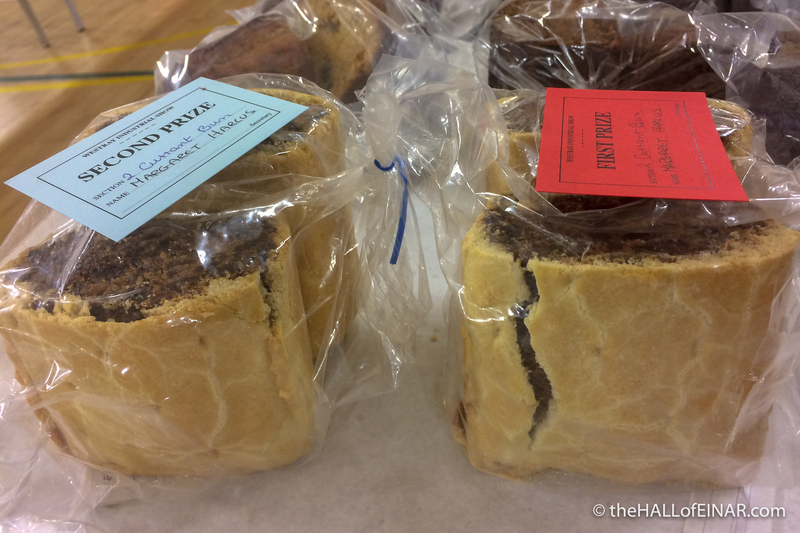 This year, it’s just as good as ever and the tables are groaning with Island goodies. 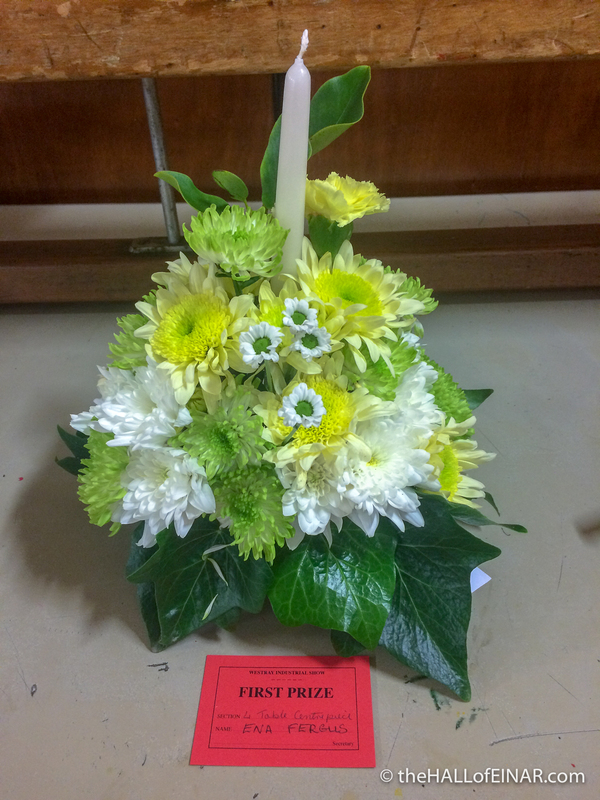 Firstly there are the plants and flowers, with this table centrepiece by Ena Fegus rightly winning first prize. 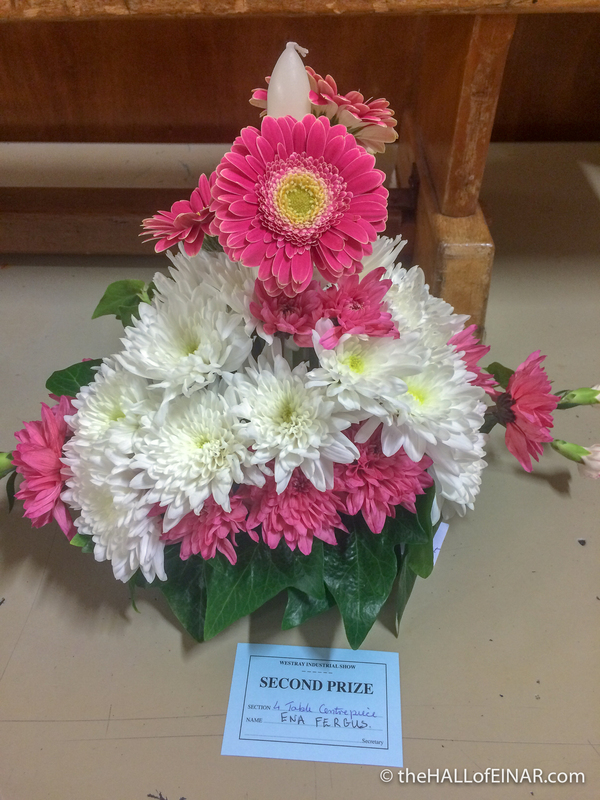 She also won second prize and there were no other entrants. You can only beat the competitors who enter though, and both were worthy winners. 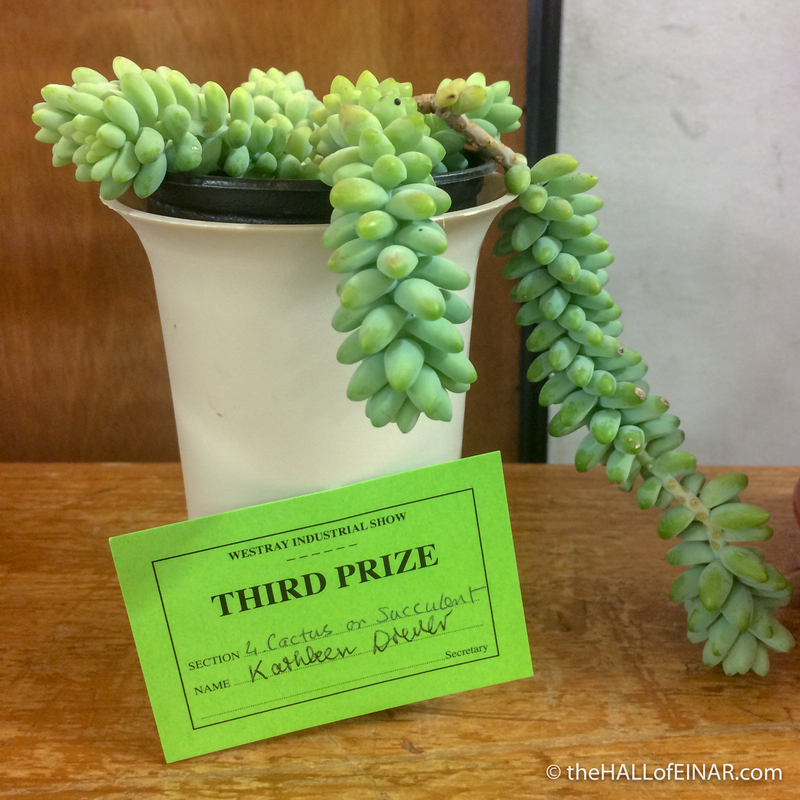 I love this succulent, it’s a Crassula morganianum, known as a Donkey’s Tail. Crassulas are fascinating because they take in carbon dioxide at night and store it and then close up their pores during the day so they don’t lose water. It’s called crassulacean acid metabolism, but you didn’t really want to know that, did you? It doesn’t like winter temperatures below 13 degrees Celsius, so Kathleen Drever must have a nice warm place for it to live. 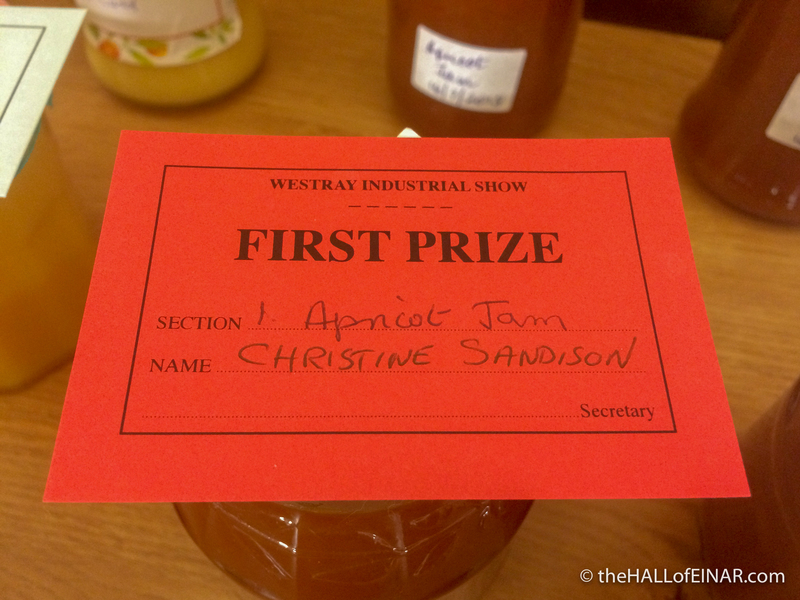 I walk along the tables of preserves to see what categories there are and who’s won. I’m interested in jams and preserves. 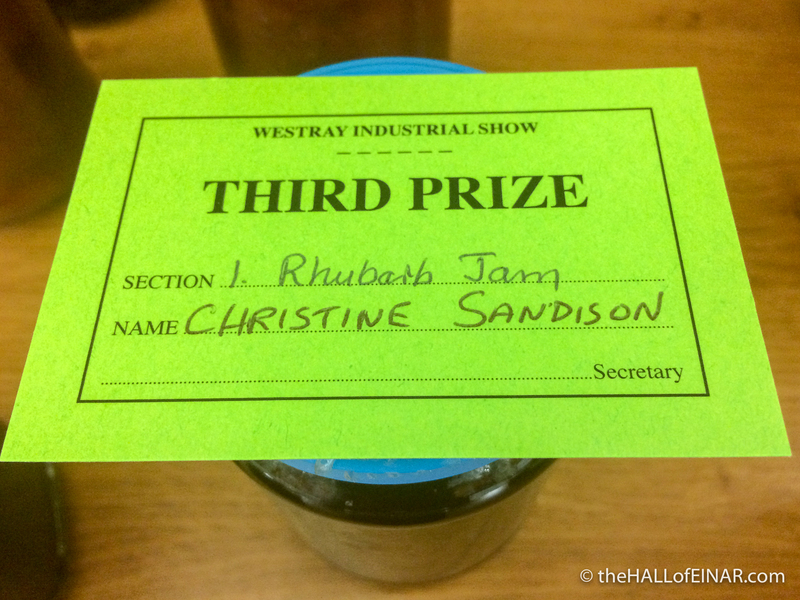 I love making chutneys, and my mum’s just made damson jam which I’m currently enjoying for breakfast. 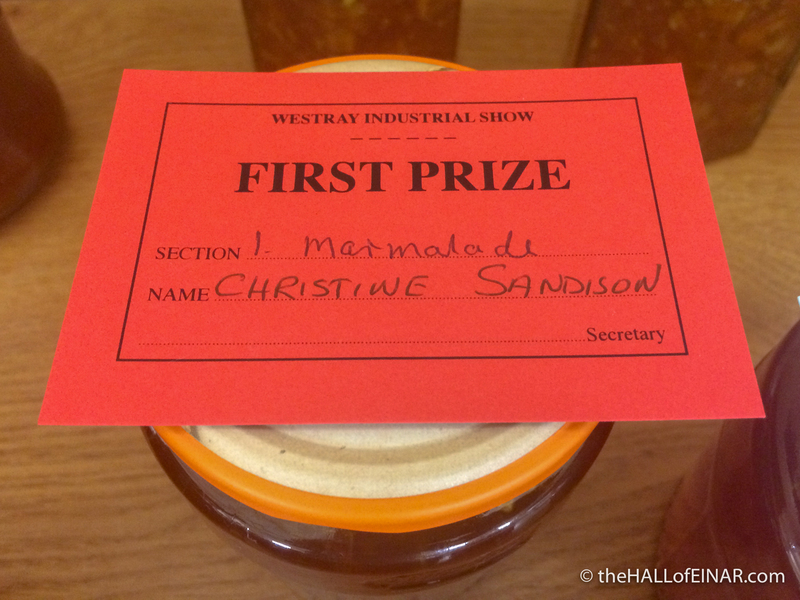 It appears that the first prize for ‘Any other preserve’ goes to Christine Sandison. I can see a pattern here. The table is loaded with jars from many different people. 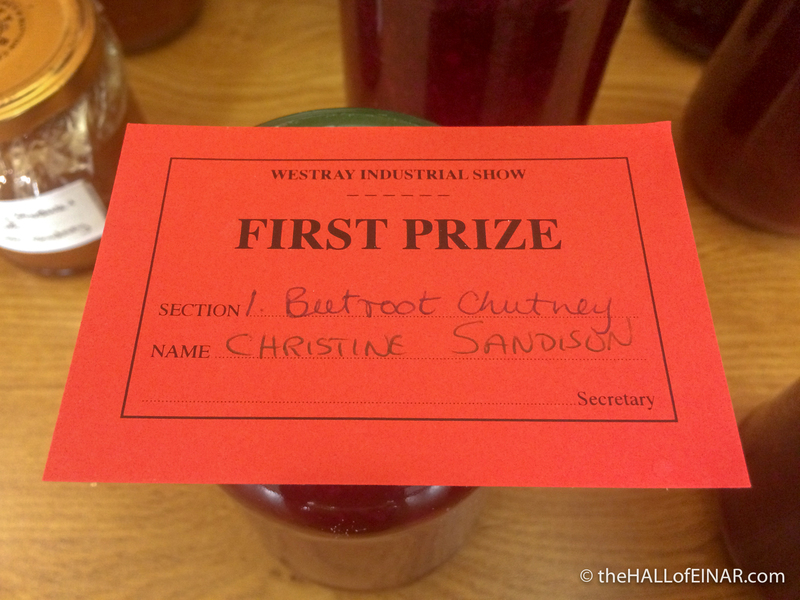 What a blot on Christine’s perfect record. 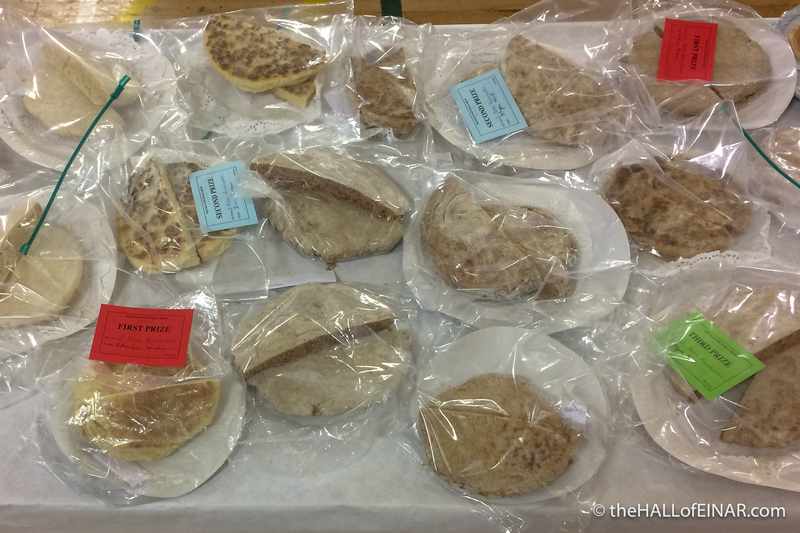 All the flour bannocks and bere bannocks look wonderful. I’m hungry just looking at them. 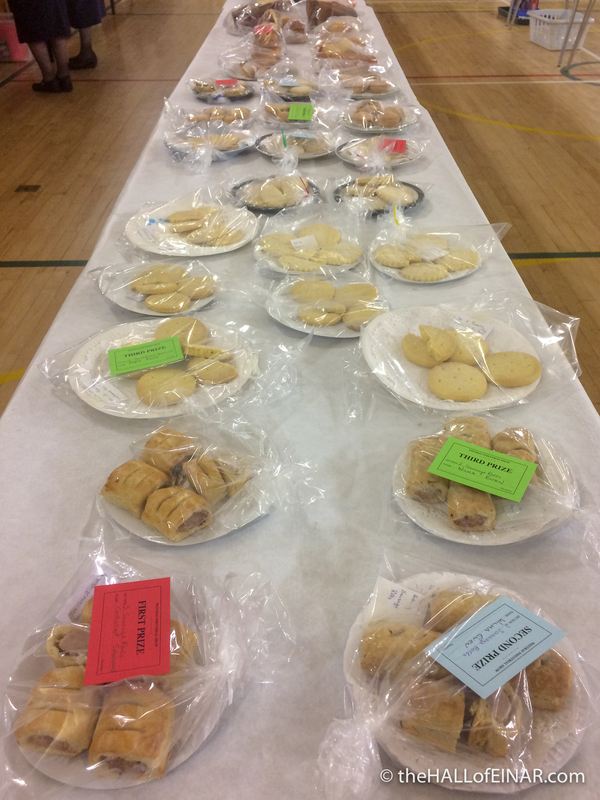 It’s great to have such a culture of home baking on the island and such depth of great home cooks. 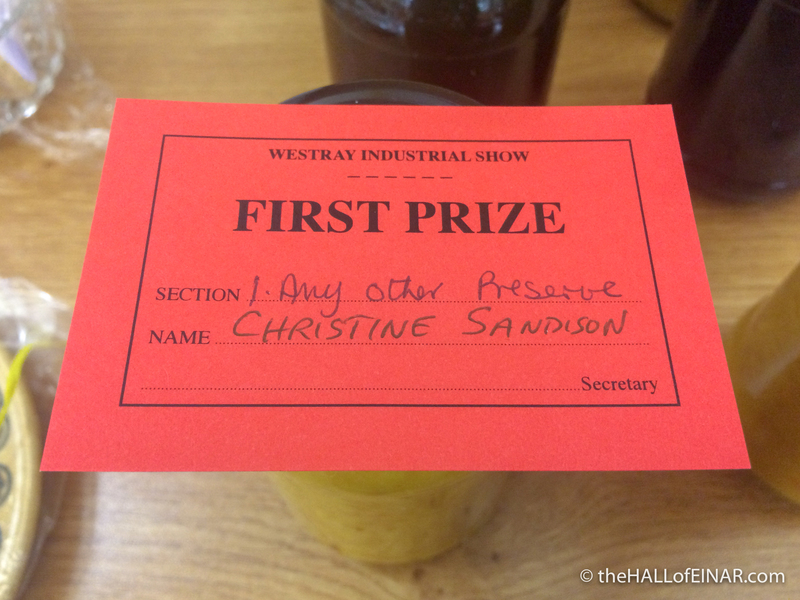 I see that the first prize for flour bannocks has been awarded to Christine Sandison. These shortbreads look cooked to perfection. In fact they look incredibly professional. I like how crisp a break they make. My favourites, fattie cutties, are here as well. Lovely. 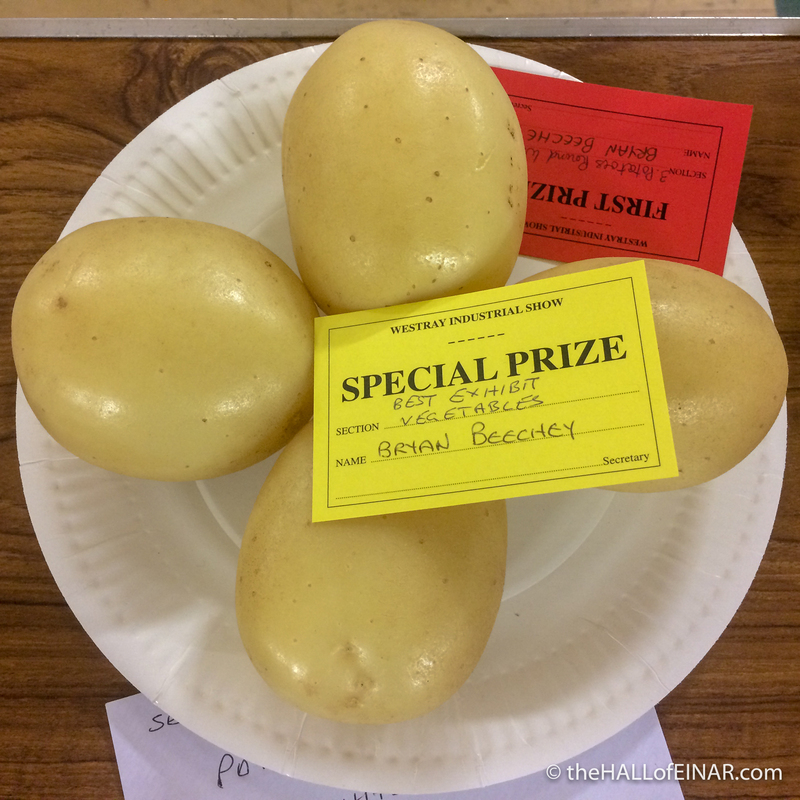 Bryan Beechey’s potatoes are so perfect they’ve got a ‘best exhibit – vegetables’ special prize as well. 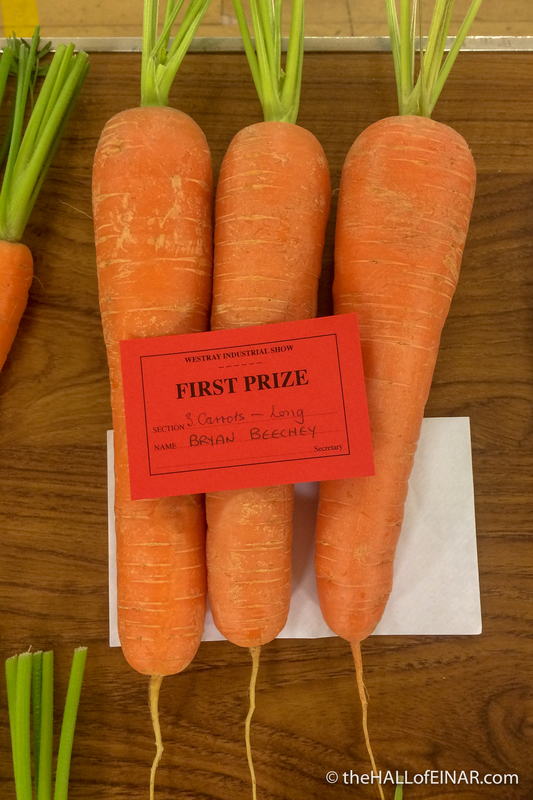 There’s prize money for each of the winners. 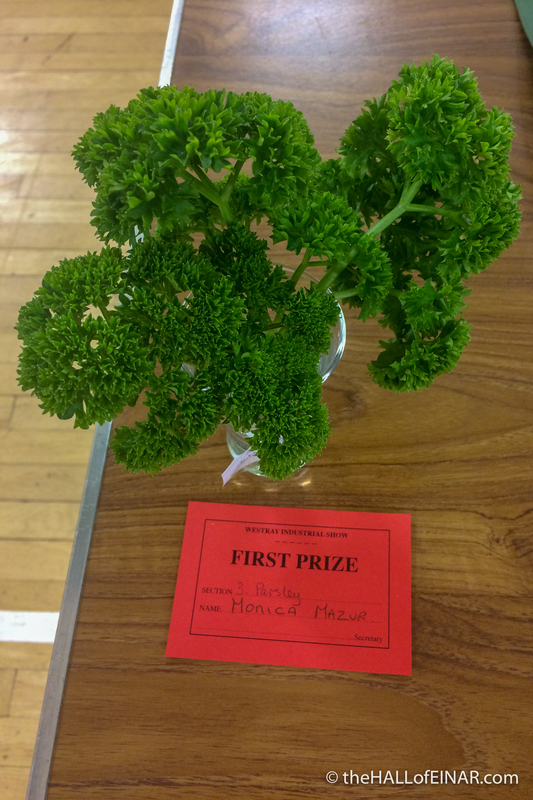 I’ve paid my entrance money and bought some raffle tickets and now it’s time for the afternoon tea. 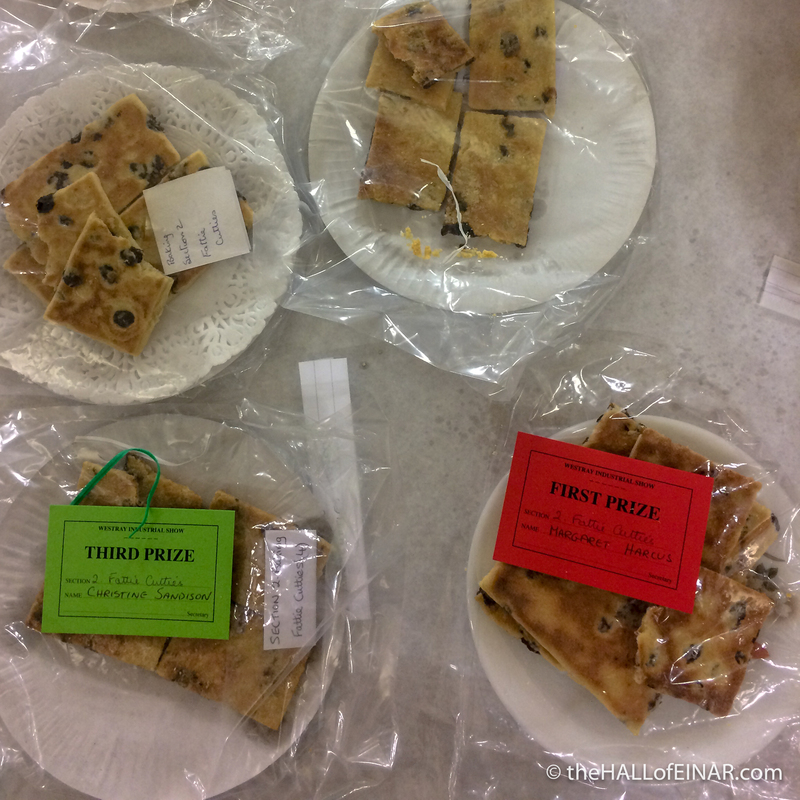 There are tables groaning with delicious fresh sandwich rolls of all types, trays of traybakes and fancies and endless mugs of tea and coffee. 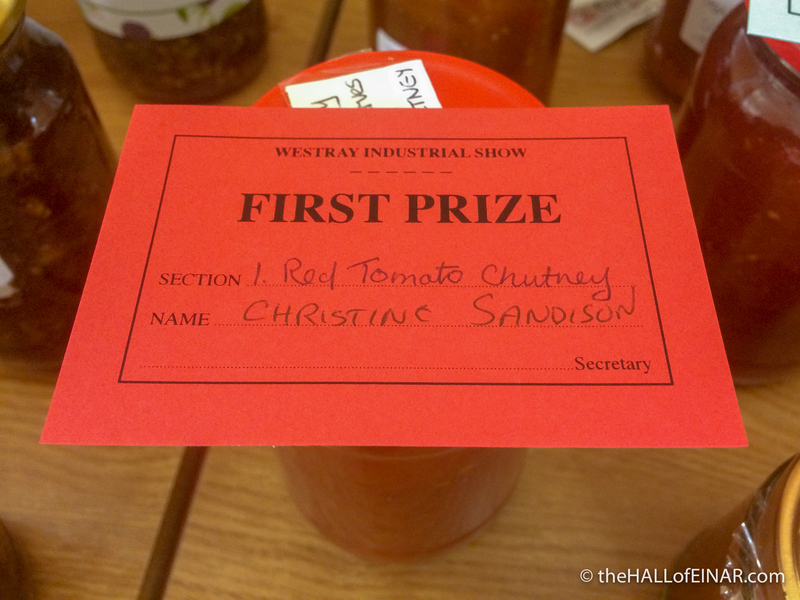 It’s a great treat, especially since the Westray Regatta was cancelled this year. 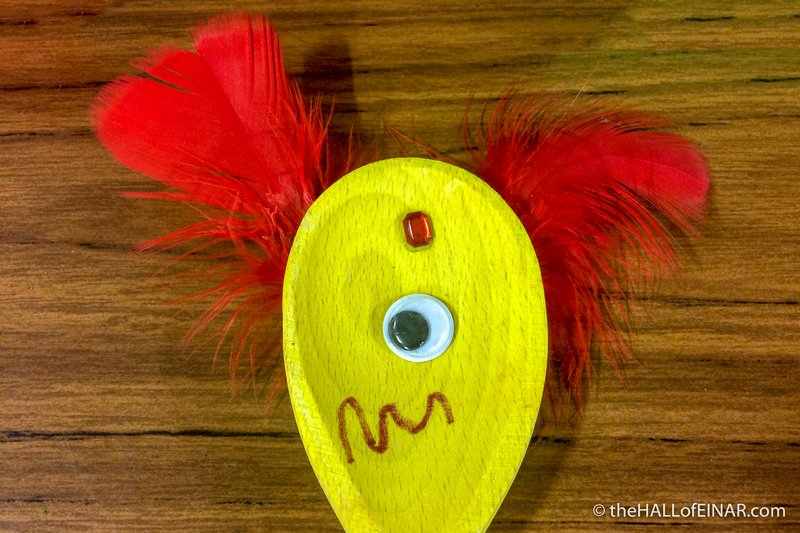 Everyone wants to make this event extra special.